What Does Mark 16:15 Mean? Those forty blissful days that followed the resurrection must have been wonderful for Christ's disciples, because the Saviour Whom they thought was dead and buried, following the gruelling time of His arrest, trial and crucifixion.. must have blossomed into a time to ecstatic gladness and joy as Jesus presented Himself to them alive.. and gave everyone His gracious reassurance that even the terrible act of denial cannot separate us from the love of God which is in Christ Jesus our Lord! 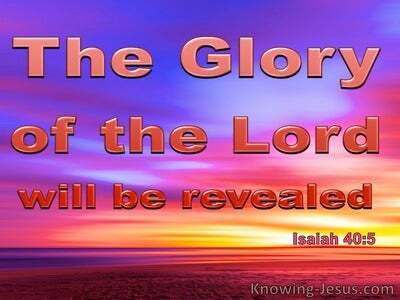 How joyful they were as they witnessed the many convincing proofs, of His supernatural power during that period of forty days as Jesus spoke to them concerning the kingdom of God. 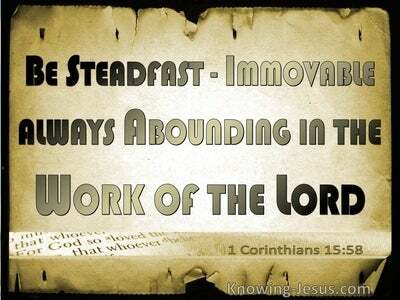 And obviously they fully expected Him to immediately set up His earthly kingdom, which had been promised to Abraham and Israel - as we can see from some of the questions the disciples asked Him, as recorded in Scripture. And then came the moment that Jesus gathered them all together to give them His final important commands, before returning to His Father in heaven and leaving them to continue His important mission of reconciliation, to a lost and dying world:- they were not to depart from Jerusalem, or return to Galilee, but were to wait in the holy city for the promise from the Father, because Jesus told them that they were to be baptised with the Holy Spirit in a few days time. It is astonishing to realise that despite witnessing the many miraculous signs during His post-resurrection appearances, that some of Christ's eleven chosen apostles still doubted the truth in their heart. 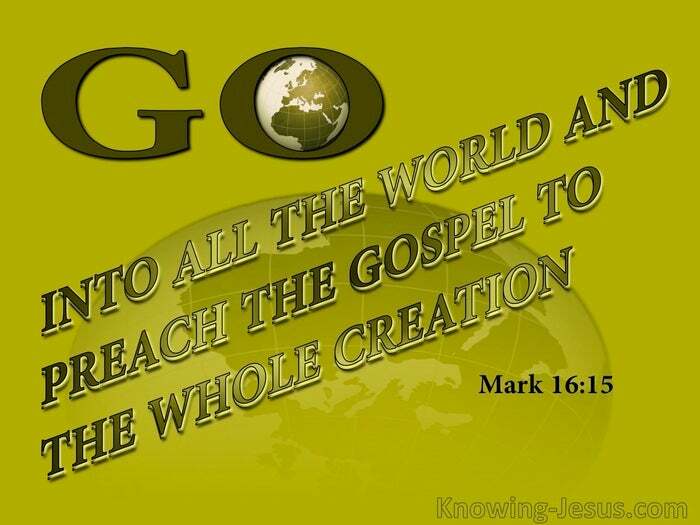 And so came the time for His very last instruction - and gathering His followers together we are told that He said to them, 'Go into all the world and preach the gospel to the whole creation. 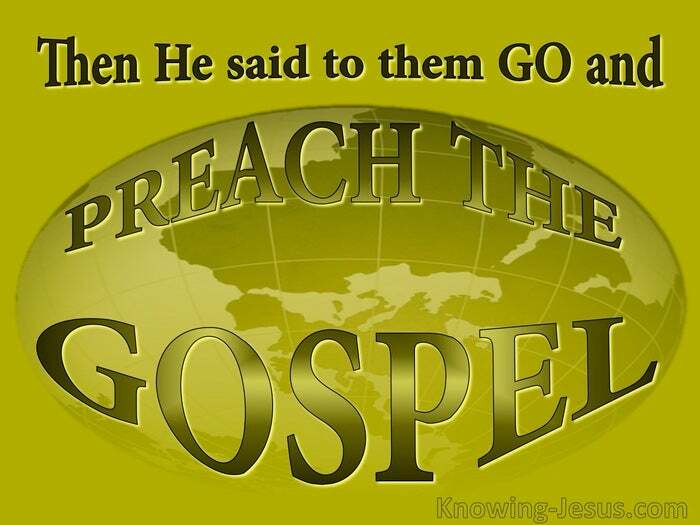 Go everywhere and preach the gospel to everyone, was His instruction. 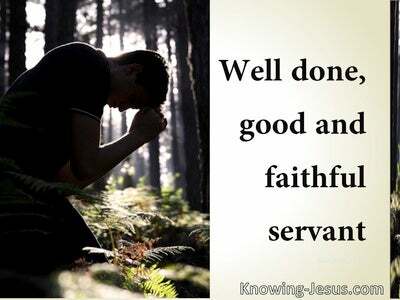 Evangelisation was the final instruction that Christ gave to the fledgling church. They were commissioned with a world-wide missionary assignment - to preach the gospel to the whole world. However, the completed gospel had not yet been received by these disciples when Christ ascended into heaven. Further revelation, which has been hidden from past generations was yet to be revealed to Saul of Tarsus, who would become the apostle Paul. Only hours before His crucifixion Jesus had let them know that there were many things that He wanted to tell them but they were not able to bear it at that time. 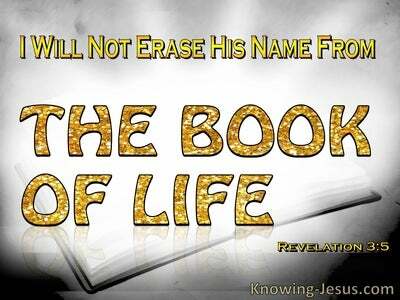 Nevertheless, the core of the gospel had been acted out before their very eyes, only 40 days earlier.. when the holy Messiah of God died according to the Scriptures, that He was buried and that He rose again according to the Scripture. Christ's death was in payment for the sin of the whole world (for the wages of sin is death but the gift of God is eternal life through Jesus Christ our Lord), so that whosoever believes in Him will not perish but have everlasting life - and this is God's free gift of grace. Christ's resurrection broke the power of sin and death, in the lives of all who would place their trust in Him - and Christ's commission remains the same today:- Go into all the world and preach the gospel to the whole creation.. and He has promised: lo, I am with you alway, even to the end of the world, amen.